No doubt about it. The past two months have been a whirlwind for our family. As I mentioned before, we weren't able to renew our rental contract and had to move out of our home at the end of May before the school year was out. I. Hate. Moving. Despite my best attempts to pack up without losing my mind, it was still a ditch-effort at the end. Although my kitchen was tiny, I still packed up probably 30 boxes from the kitchen alone. 30 BOXES! I had no idea that I owned that much kitchen stuff. That number didn't even include the food. It was quite an eye-opener for me. I'm sooo glad that I took notes so that I won't be taken by surprise when we undoubtedly move again. Thankfully, some dear friends took pity on us and welcomed us into their home so we could finish out the year and store our stuff for the summer. It kinda felt like college again living with friends...except a couple of kids were thrown into the mix. It was great! Now, we have finally made it back to California for the summer. My husband has 2 1/2 weeks of work under his belt, our family has been reunited, and we've begun our house-sitting tour of Santa Barbara County. Although I do enjoy living in Virginia, I love being in the country again. 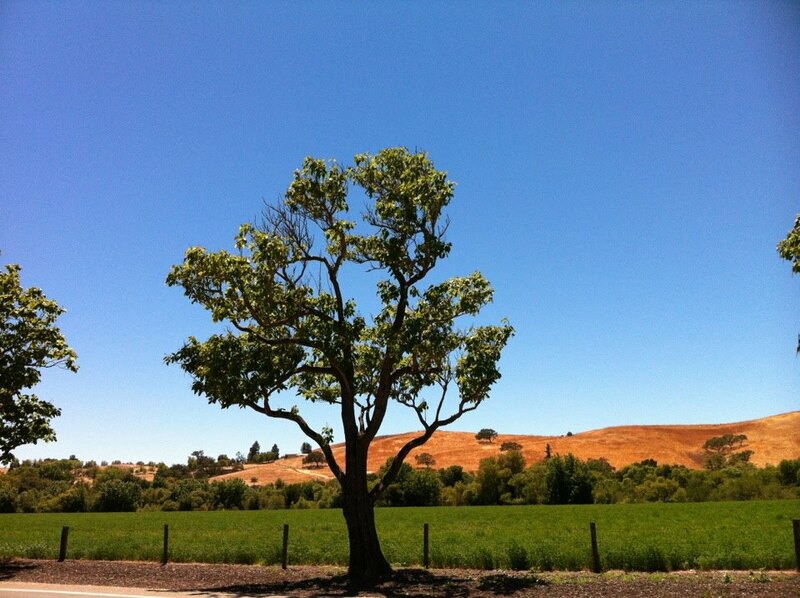 I had forgotten how much I love the golden hills dotted with oak trees -- it's a beautiful sight. I'm also really enjoying the foods that I can't get in Virginia -- Arabian Mocha Java from Peet's Coffee, Tillamook Medium Cheddar Cheese, McConnell's Ice Cream, and Lompoc Tortilla Chips by Kiki. Not sure what the summer holds for us beyond working and visiting with family and old friends. Although this will be a rather nomadic summer, we're doing our best to go with the flow and enjoy it. So far so good.